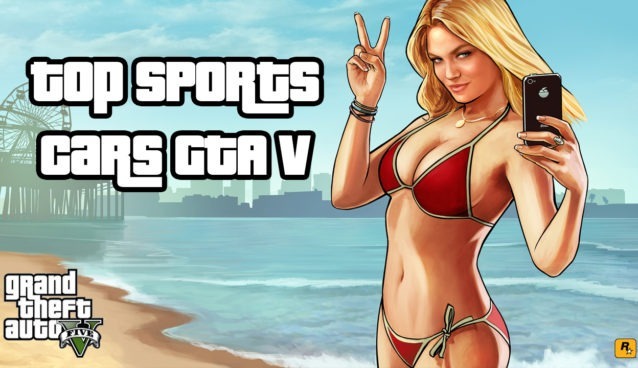 The Karin Kuruma is a sports car that was released with the Grand Theft Auto 5 Heists update. The car was unlocked and featured in the first available heist – The Fleeca Job. 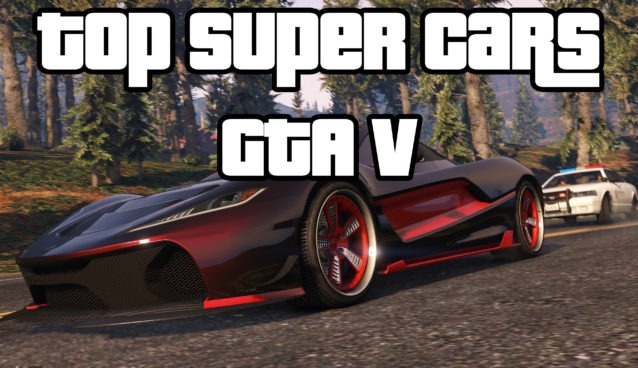 There is also an armored version available, which costs significantly more in the GTA 5 online care store. The Karin Kuruma is a four door compact sedan, classified as a Sport car vehicle class. The Karin Kuruma is a representation of the real life car, the Mitsubishi Lancer Evolution. 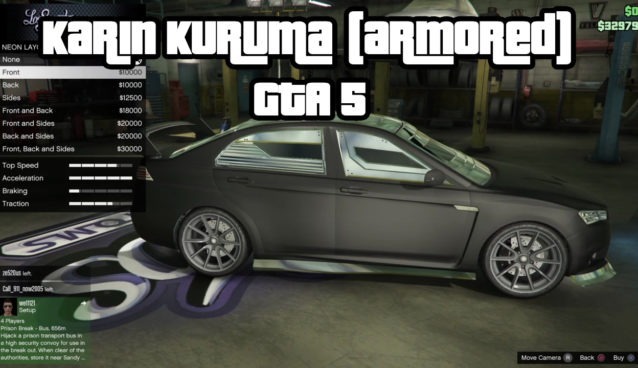 The Armoured version of the Karin Kuruma is slightly different from the original in that it is more resilient against collisions and gunshots, due to its bulletproof windows. They are both relatively similar, but in my opinion It has to be an evo, just look at the curvature of the evo’s front, its spoiler and even its headlights.